Just over a week ago it was C's first birthday party. I already can't believe it's been a week. We rented out 2 halls at a leisure centre. 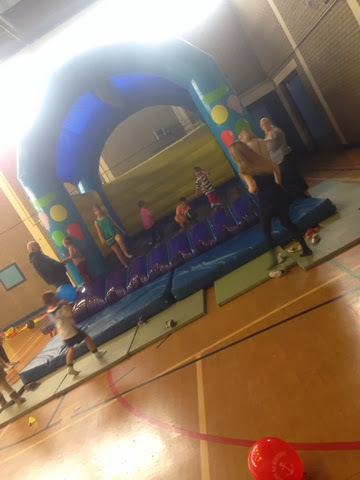 The first hall had a bouncy castle and footballs and other little things to play with and we had that room for 1 hour. At first, I thought it might be a bit boring. A bouncy castle for the kids and all the adults would be left standing about but I was wrong. Once the party got started, the kids really enjoyed themselves and us adults chattered away. 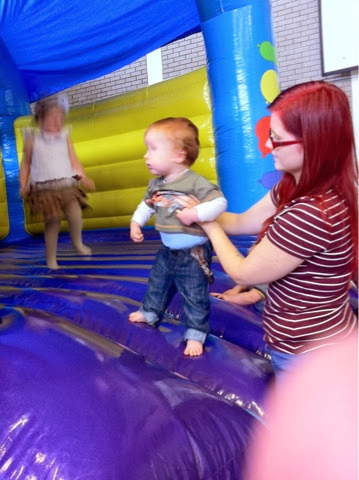 When the hour in the bouncy castle hall was up, we had an hour in a food room. The night before we had made sandwiches and spent the morning of the party cooking food and making sure we had enough for everyone! At first I thought two different rooms was a bit weird but it worked out better. 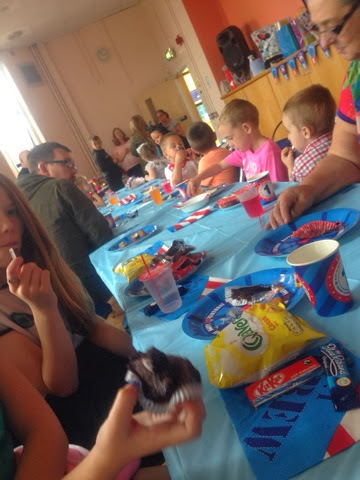 The kids worked up an appetite playing and also, I think having the food in the same room as the bouncy castle would mean that the kids probably wouldn't eat as they'd be too interested in playing! I was a bit nervous thought and kept asking everyone repeatedly if they were okay. My mother-in-law said to me, "Rebecca, the kids are all eating and no ones crying. Everyone's happy" and she was right! 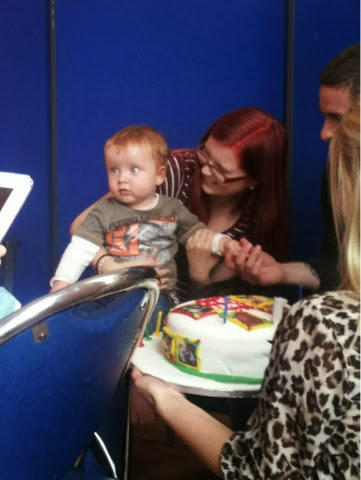 I was really stressed out in the lead up but the party went off without a hitch and everyone had a great time. 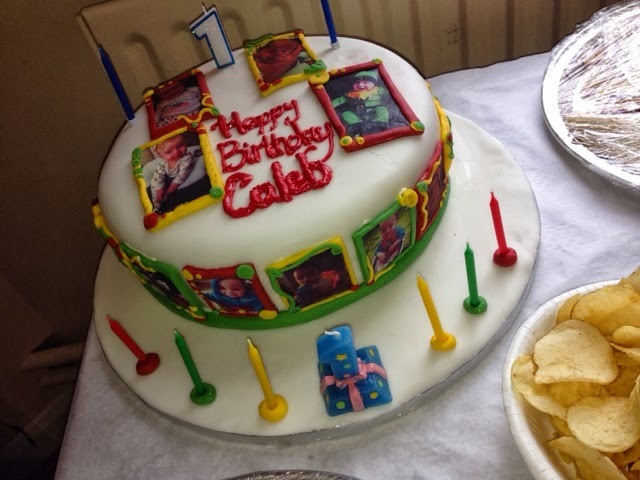 I'd just like to say a huge thank you to my lovely sister-in-law Emma who helped us set up the food room, thank you to my best friend Jessica who very kindly made C'a birthday cake and thank you to my parents-in-law Michelle and Ian for bringing all the party food over for us.